Networking night with keynote speaker Kelly Baker Jamieson - Murray Bridge TAFE Theatre Room. June 8th 2016, Doors Open at 5:30pm for 6:15 Start. An opportunity for businesses to meet, greet and chat. Get answers to those unknown business issues from a range of industry experts. Finger food and drinks provided. A highly successful local entrepreneur, Kelly Baker Jamieson, along with her sister Abbey, runs the chocolate gift emporium, Edible Blooms. From a small business start up in 2005, Edible Blooms celebrated their 10th birthday in 2015 and now employs more than 50 staff across seven locations and has grown into a household name in Australia for gift delivery. Edible Blooms was named 2009 Telstra Small Business of the Year for Australia and in 2011 Kelly was awarded SA Telstra Business Woman of the Year. 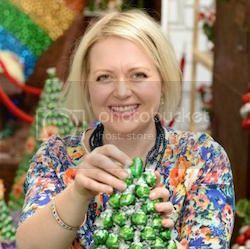 A self-confessed chocaholic, she is passionate about growing her business and will share some of the hurdles and the highlights in creating Edible Blooms as an online retailer in Australia. Join us for an ‘insider’s view’ of how to grow and develop your business online. Price : Free but must book.